The creation of Tony Isabella and Trevor von Eeden, Black Lightning (aka Jefferson Pierce) is one of DC’s earliest African-American superheroes, as well as one of the more prominent ones (having served as a member of Batman & the Outsiders and even the Justice League for a time). If picked up for a full season, the show (which will be written and produced by the African-American and Muslim wife/husband team Mara Brock Akil and Samil Akil) would be Berlanti’s fifth superhero show at the CW. 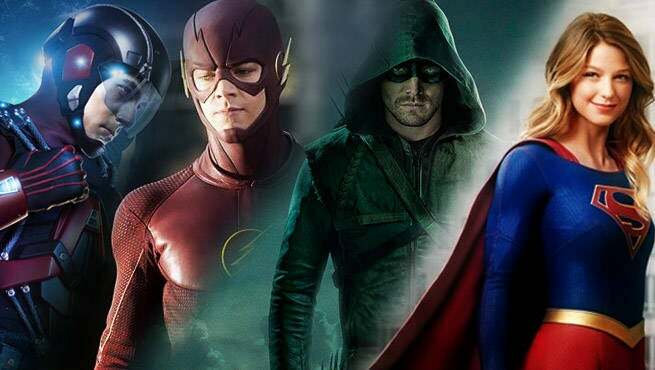 As of now, there is no indication that the show will be part of the Flarrowverse (or even existing alongside it, ala Supergirl), but that could change of course. I’ve got to say–hot damn is it ever nice to hear some pleasant news (it’s a nice change of pace from the onslaught of horrific news regarding the latest actions out of the Trumpsterfire Administration). ← White fuckery never takes a day off, does it? You know, this reminds me of a short-lived TV show I saw as a small child called “Misfits of Science.” Weirdos given super powers by science I guess, including an African American guy with the power to shrink (subtext? ), some white guy with cool guy sunglasses and electricity powers, and psychic baby Courteney Cox. I don’t remember the show for anything except the shrinky guy had to wear a Michael Jackson doll’s clothes at some point, and the white guy was clearly there for me to consider aspirational / identifiable and hip. I ate it up, thought his powers looked super rad. Now we can see those super rad powers in the hands of someone other than the millionth white guy. I can’t wait to see what they look like. I remember Misfits of Scoence! I loved that show as a teen. I’m here for Black Lightning. I remember reading him in the comics and as far as I’m concerned, it’s about time, becuz Supergirl and Arrow ain’t working for me.